Have a crafty Holiday season and beyond with all-new elegant projects for entertaining or for bringing as a host/hostess gift! 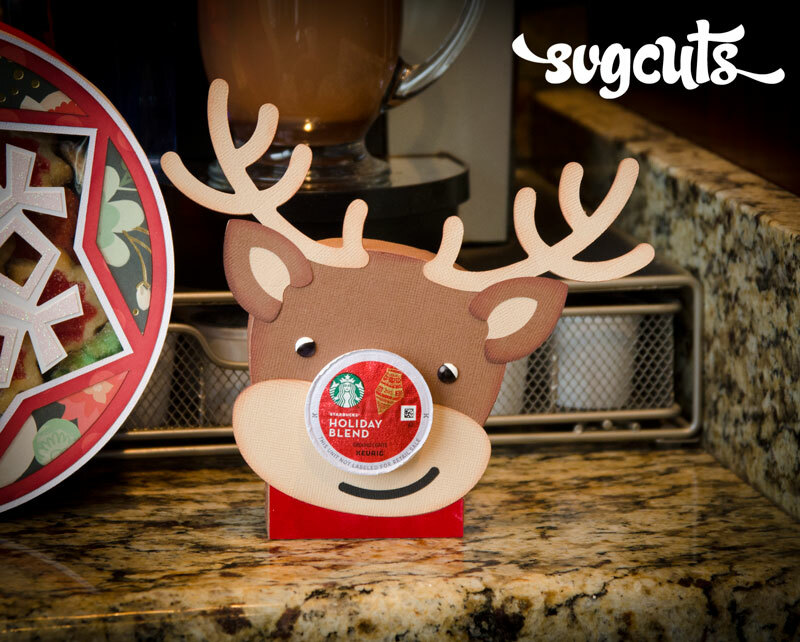 The finished Reindeer Cup Holder is almost eight inches wide, 7.3” high and about an inch deep. If you’d like to make any of the cup holder projects without the holes for the cups, use the files in each project’s Extras folder. 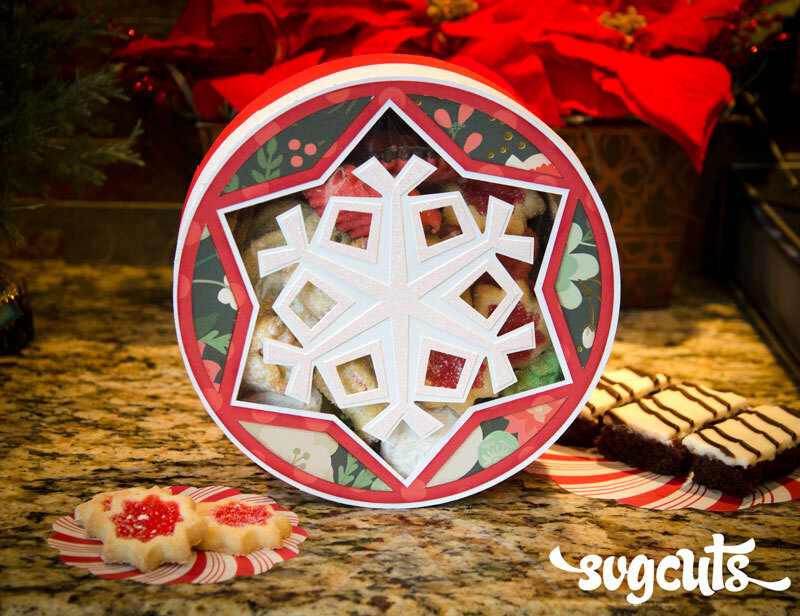 The finished Snowflake Cookie Box measures eight inches across and almost three inches deep. 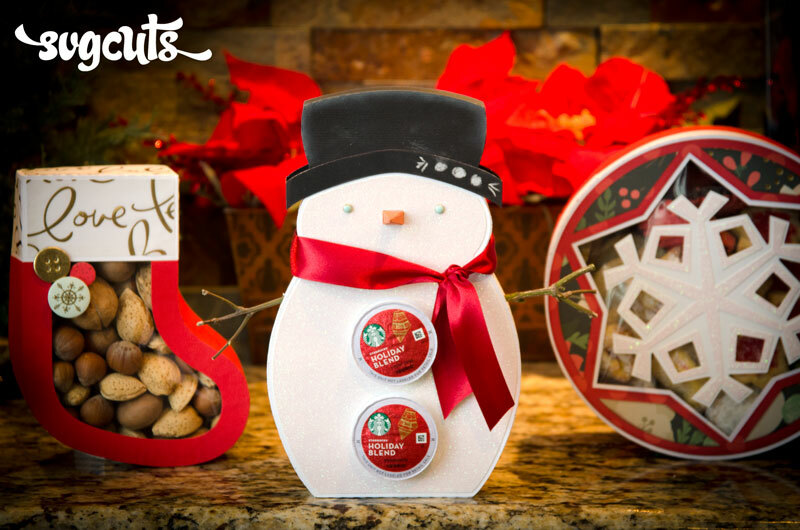 The finished Snowman Cup Holder measures almost six inches wide (without the arms), 9.5” high and about an inch deep . Insert twigs or pipe cleaners into the “X-es” on the sides of the snowman’s body for its arms. The finished Stocking Box measures about 5.4” wide, seven inches high and about 2.3” deep. The finished Tree Cup Holder is about 9.5” wide, 10.5” tall and an inch deep. Patterned paper shown is the Christmas on Market Street Paper Collection by My Mind's Eye. 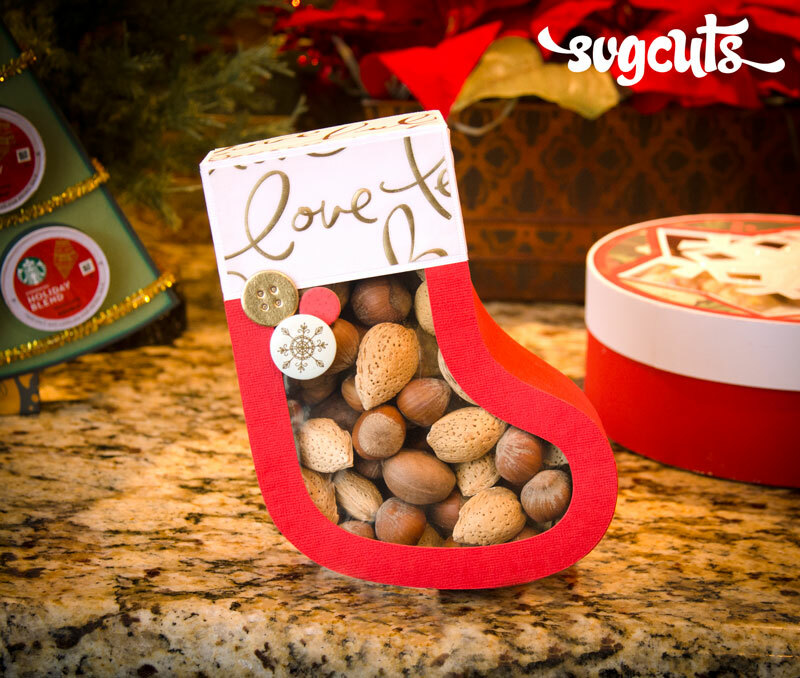 Visit www.SVGCuts.com between now and December 10th, 2015. 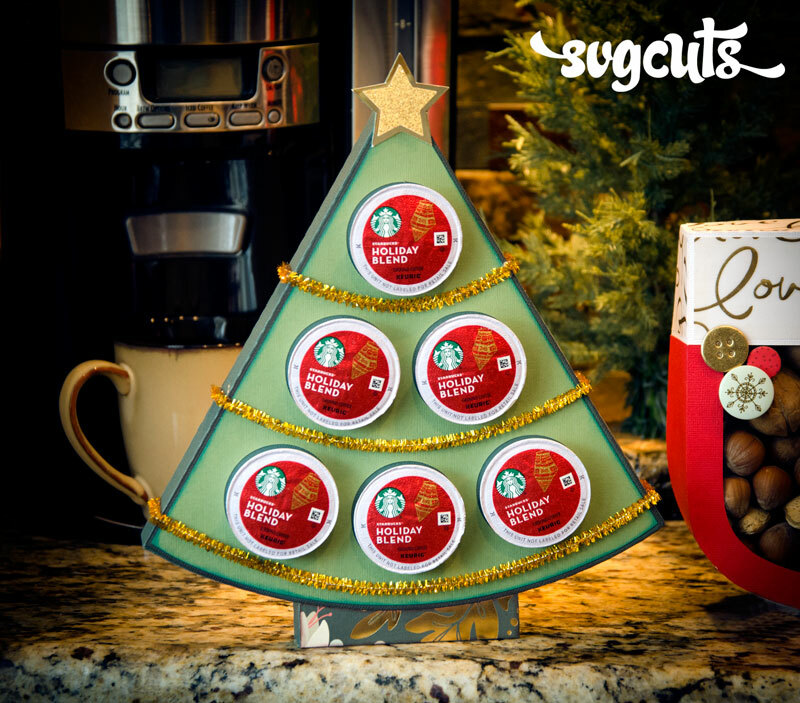 Add Christmas Cafe SVG Kit to your cart. Type FREEGIFT into the coupon field.